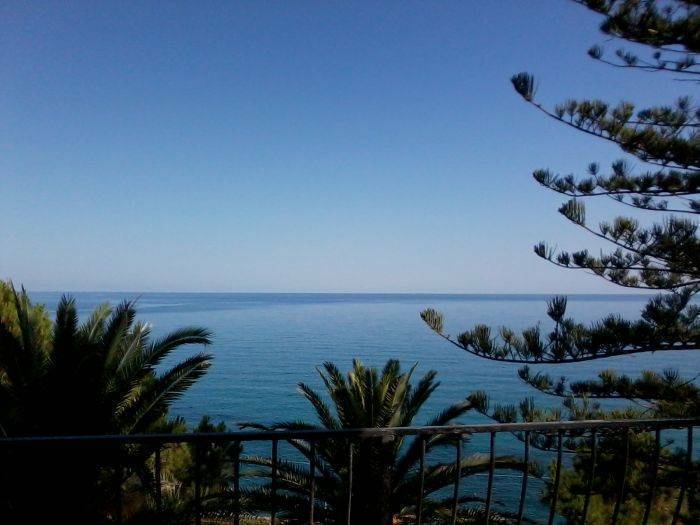 Overlooking the sea (70 mt), our B&B Pineta sul mare, is located just 7. 5 km from the beautiful Cefalù, immersed in greenery, majestic pines, monkey puzzles and palm trees, in a place that still retains the charm of nature. 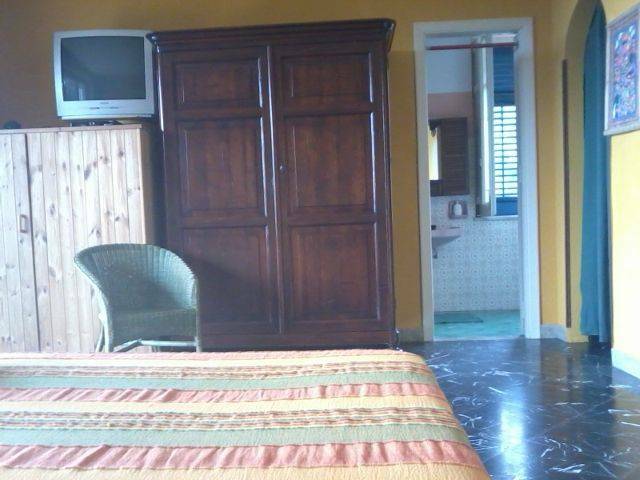 We offer our guests only two rooms: one double room - sea view and one triple - pinewood view. The Sea Room is a double room, with the possibility of adding a 3th bed. It is provided with private bathroom, free WiFi, TV and ceiling fan, with large private terrace, furnished with sofa and table and chairs for breakfast, where you can enjoy absolute privacy, admiring the enchanting view of the "oceanic" sea below the house. The Pinewood Room is a triple room, with the possibility of adding a 4th bed. It is provided with private bathroom, free WiFi, TV and ceiling fan, with large private terrace, furnished with table and chairs for breakfast, where you can enjoy absolute privacy, surrounded by greenery and in the freshness of a wide pinewood. Breakfast includes a rich choice and, where possible, we will be happy to satisfy all your demands. 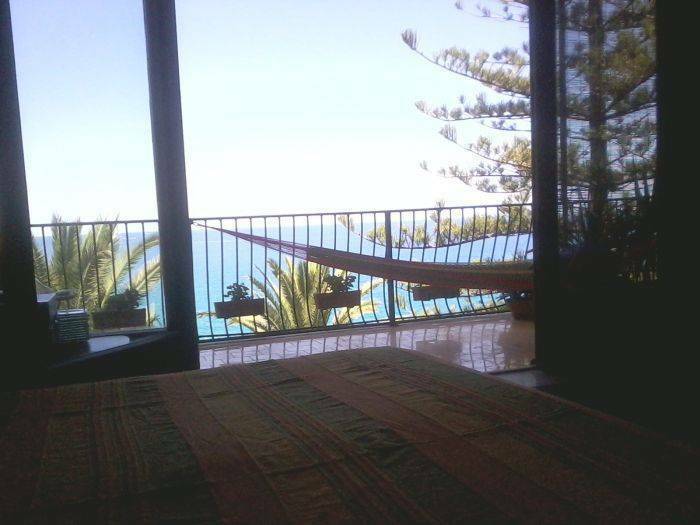 Our B&B has private parking and is the nearest beach 1 km, with a choice of other beautiful beaches within 3/4 km. In addition, we offer our guests free sunbed and parasol at the beach "Sciùscia" by Campofelice di Roccella, every day except Sundays (except Saturday and Sunday in August), in the limit of availability. Pineta sul Mare B&B is the ideal place for those who want to relax in the tranquility and contact with nature. 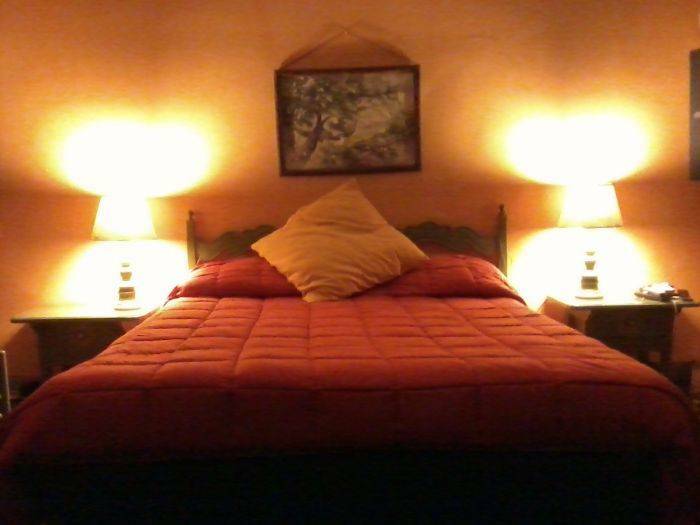 It is also the perfect base to get around and visit the beautiful towns and most suggestive places of our beautiful island, because the B & B is located a few kilometers from the highway, ideal ideal for reaching the beautiful Palermo, capital of Sicily, rich of art, monuments and culture and other cities of art of Sicily. In addition to continuing the S. S. 113 you can visit enchanting places and beaches along the coast. Our b & b is really located in a privileged location from which you can access, among other things, in the heart of the Madonie Park, a beautiful natural oasis, where living marine landscapes, hills and mountains, ideal for unforgettable excursions or trips in the charming villages of the Madonie. A dispassionate advice: do not let miss the opportunity to visit the beautiful Aeolian Islands, which rise wonderful and varied up the sea in front of the house! 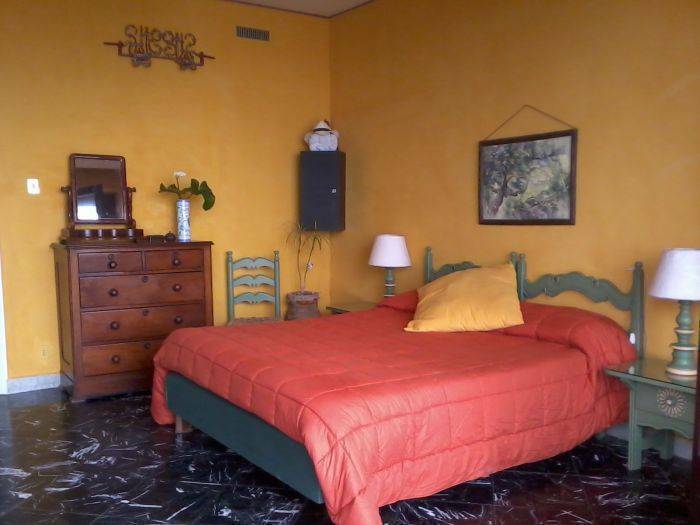 Finally, the b & b is also easily accessible without a car, as it is 5 minutes from the train station and bus station, perfect for arriving with comfort in the center of Cefalù and visit its magnificent Arab-Norman Cathedral and its charming medieval old town. The Sea Room is a double room, with the possibility of adding a 3th bed. 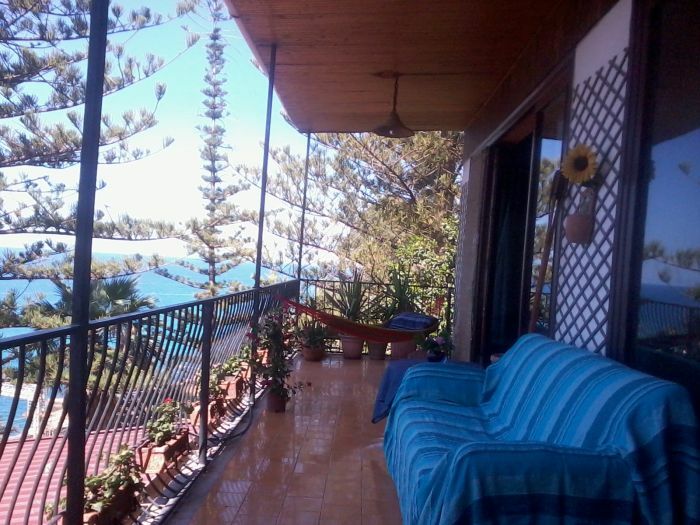 It is provided with private bathroom with shower, TV and ceiling fan, with large private terrace, furnished with sofa and table and chairs for breakfast, where you can enjoy absolute privacy, admiring the enchanting view of the "oceanic" sea below the house. Breakfast includes a rich choice and, where possible, we will be happy to satisfy all your demands. Our B&B has private parking. The Pinewood Room is a triple room, with the possibility of adding a 4th bed, completely restructured in 2013. It is provided with private bathroom with shower, TV and ceiling fan, with large private terrace, furnished with table and chairs for breakfast, where you can enjoy absolute privacy, surrounded by greenery and in the freshness of a wide pinewood. Breakfast includes a rich choice and, where possible, we will be happy to satisfy all your demands. Our B&B has private parking. The b&b is located 70 mt. from the sea, in the middle of a lush pine wood. It is about 7. 5 km from Cefalù. The charming medieval old town of Cefalù. The beautiful beaches of Cefalù and surroundings. Picturesque villages of sea and mountain located nearby. Cancellation policy: 10 days advance notice. The nearest airport is Punta Raisi and is about 110 km from us. The B&B is reached along the Messina-Palermo motorway, exit at Castelbuono-Pollina, then Provincial Road 286 - ME direction (left) for about 3 km, then crosses SS 113, continue in the direction of ME (right) for 500 meters, the first entrance on the right. You can also get on the train: Castelbuono Railway Station at 100 meters. Finally, the structure is about 8 km from the center of Cefalù. Railway, train station, bus station. Nearest airport: The nearest airport is Punta Raisi and is about 110 km from us.